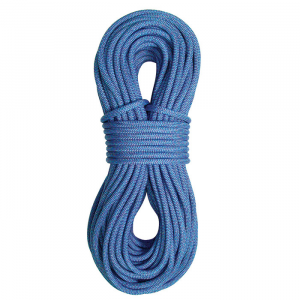 Visit Metolius's Monster 9.2mm Rope page. 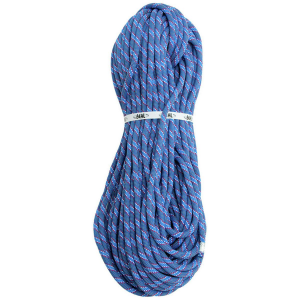 Metolius 9.2 Dry Climbing Rope - The ultimate single rope for the performance-oriented climber, the Monster Metolius 9.2 Dry Climbing Rope is safe, light, and durable with excellent handling characteristics. Super-tight sheath-braiding makes it exceptionally durable and core fiber twists reduce kinking, giving the 9.2 a great hand. 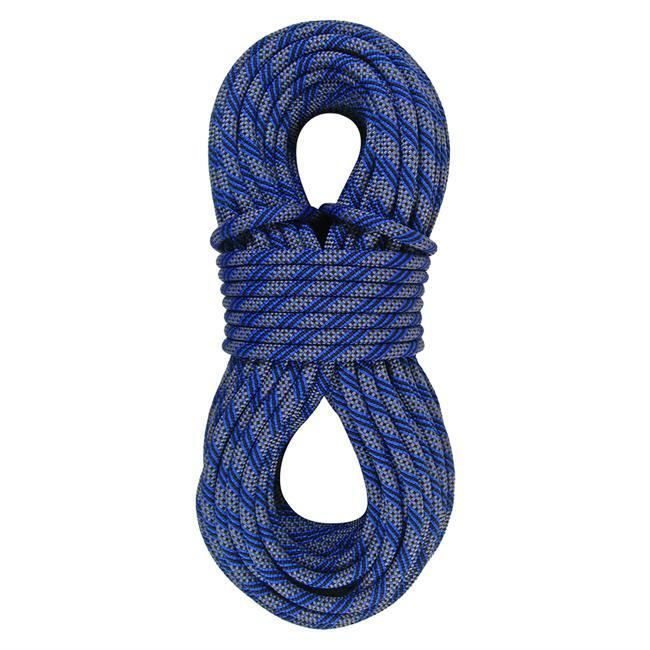 Metolius Climb Monster 9.2 mm Rope-Blue/Yellow-60 m RDRY92602. 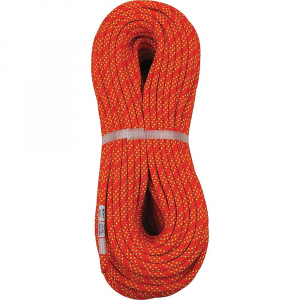 Complete Shield and Absolute Shield nanotechnology dry treatments infuse tiny particles of Teflon Eco into the rope increasing abrasion resistance and sealing out dirt and water. Proprietary compact end finishing eliminates frayed ends and the Monster Marker means the middle is easy to find. 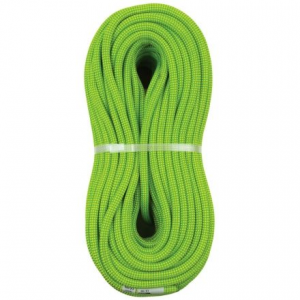 The Monster 9.2 mm is the ultimate single rope for the performance-oriented climber. 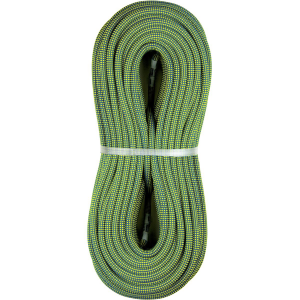 When you're whipping off your next sport project, swing safely knowing the Metolius Monster 9. 2mm rope is holding you. Rated for up to 6 falls and an impact force of 6. 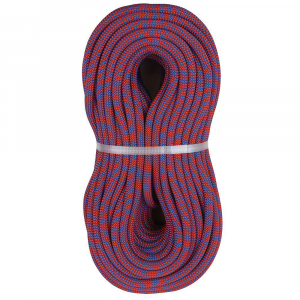 8kN, this slim cord keeps you in the air without jarring your bones thanks to a dynamic stretch of up to 35%. A center mark makes for easy identification of the halfway point for added safety and convenience.